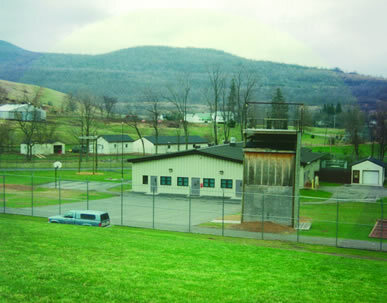 The Sergeant Henry Johnson Youth Leadership Academy (YLA) is located in Delaware County, approximately 15 miles east of the Town of Delhi in the Catskill Mountains. The small two-acre campus has two living units which house 12 to 13 youth per unit. There is a separate administration building housing the school, dining facility, workout/weight room, quiet recreation area, therapy suite and offices. There is also a gymnasium building with a basketball court, game room and sports classroom/office. The youth served at YLA are male, adjudicated, juvenile delinquents, generally between the ages of 13 and 18, placed with OCFS by the Family Court. YLA is accredited by the American Correctional Association. Counseling: Daily group counseling is offered to all youth as outlined in the OCFS New York Model. Groups include Behavior Therapy (Dialectical Behavioral Therapy, also called DBT), Trauma-informed Counseling (Sanctuary) and Substance Abuse Prevention (Innervisions). Each youth is also afforded weekly individual counseling with his youth counselor, weekly mentoring sessions with an assigned mentor and monthly Support Team Meetings (an interdisciplinary team which includes youth, parents and Community Multi-Services Office workers) to discuss the youth’s progress toward their personal goals and supports that are needed to help reach those goals. Education: YLA's education program features a team of teachers, including a special eduction teacher, and an academic program tailored to each youth's needs. 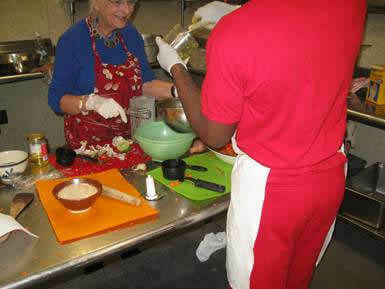 The YLA education program offers special education, academic and vocational instruction. There is a computer lab, video conferencing capabilities, and a library area. Course work is provided at all academic grade levels. The TASC (high school equivalency degree) preparation and testing is offered to eligible students. New York State Regents exams and 7th/8th grade state exams in all subjects are offered to eligible students. Vocational Opportunities: Instructors provide trade skills training in technology, computers, keyboarding, woodworking and food service. Youth also learn about energy efficiency and weatherization in conjunction with building and grounds maintenance. Health Services: The health care team composed of physicians, physician's assistants and registered nurses are on duty seven days per week on day and evening shifts. Eye care services are provided on site. Dental care is provided by the OCFS dental clinic in Rensselaer, New York. Mental Health Services: The mental health services team includes a psychiatrist, psychologist and social workers who are led by an assistant director for treatment services. All team members are skilled, licensed clinicians who can assess and provide therapy to address a variety of emotional and behavioral issues that youth may have. The team meets weekly to discuss each youth’s needs and progress in clinical rounds, as well as assess, prescribe and manage treatment of youth who take, or may require, psychotropic medications. Recreational: YLA has a variety of recreational opportunities for residents. Daily physical activity and quiet game time is offered. 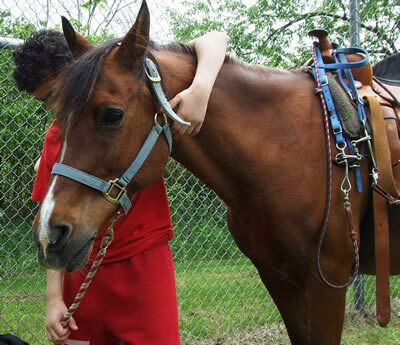 A basketball program, weight room/body conditioning program, equine therapy (horse care and riding), pottery, art and cooking classes, and a book club are offered. In spring and summer, youth participate in gardening activities; in the fall, they harvest what they have grown. Religious Services: Non-denominational services are provided and pastoral counseling is also available upon request. Pre-Release Orientation: Release planning begins at intake. The facility support team members work closely with residents, parents and community service team (CST) members to ensure that residents and their families receive the support needed for a timely and successful return to the community.